Bamboo Cottages  is a family project. We are a Vietnamese-American family who has owned the land where the cottages are now situated for many years. The building that houses the restaurant used to be our vacation home. We chose this out-of-the way spot for its serenity, beauty and magic. We started building  Bamboo Cottages  with the simple, idealistic objective of sharing what we value with others. We know that vacation time is precious and is meant to nourish. To that end, we aspire to combine the natural beauty of Vung Bau with thoughtful service, wonderful food, simple tastefulness and a relaxed, authentic Vietnamese experience. Our vision is to invest in and be in harmony with everything that we value: the traveler’s experience of Vietnam, our staff, the environment and the community. Bamboo Cottages  is a home. We trust that you will appreciate it as much as we do. We hope that earnings generated from the cottages and restaurant will help us expand and evolve our family’s long-running scholarship program for needy children in Phu Quoc and Saigon. 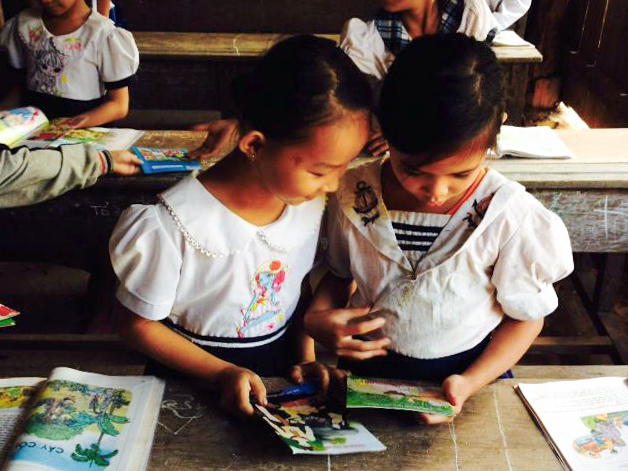 The Phung Su Foundation ("Together We Serve") is based in Houston, Texas and provides educational scholarships to disadvantaged youth in Vietnam who would otherwise have to work. We consider all of our staff to be part of our family and part of one team, respecting each other’s dignity and recognizing everyone’s contribution with just compensation and a share of  Bamboo Cottages’ success.